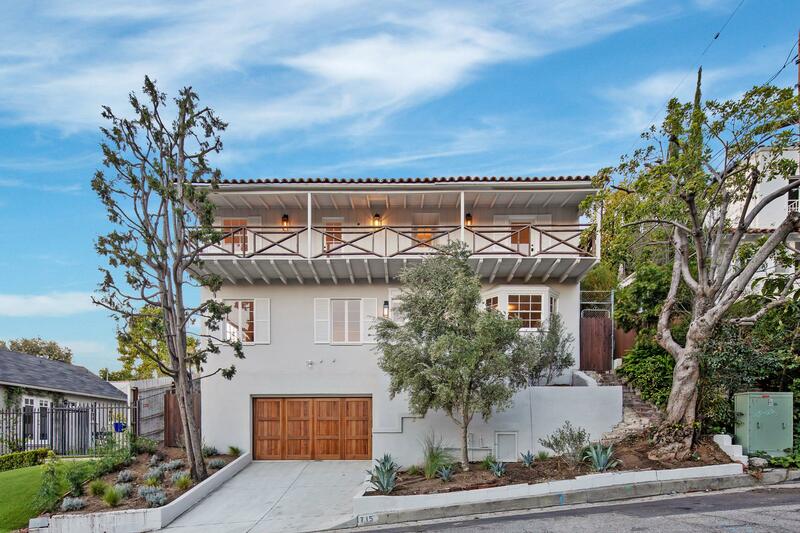 This re-imagined Spanish-style home in the highly desirable Sunset Square neighborhood is close to it all. An artful blend of old world quality & modern sophistication, featuring arched doorways, hardwood floors & gourmet kitchen complete w/ high end appliances. The family room is certain to be a favorite, w/ large fireplace flanked by built-in seating, Spanish tile floors & walls of windows that offer views of the pool. The kitchen offers custom cabinetry, marble countertops & designer lighting. Further highlights include a spacious living room w/ fireplace, views & more. Upstairs offers a large master suite w/ rooftop deck & a generous secondary bedroom, both w/ ensuite baths & incredible views of downtown. The finished garage & bonus room create a hip, flexible space for a home office, gym or game room. The secluded backyard is ideal for soaking in the pool or entertaining. Surrounded by fencing & mature landscaping, the backyard & upper floors feel like a pristine urban treehouse. Based on information from CARETS as of 04/20/2019 4:37 pm. The information being provided by CARETS is for the visitor's personal, noncommercial use and may not be used for any purpose other than to identify prospective properties visitor may be interested in purchasing. The data contained herein is copyrighted by CLAW, CRISNet MLS, i-Tech MLS, PSRMLS and/or VCRDS and is protected by all applicable copyright laws. Any dissemination of this information is in violation of copyright laws and is strictly prohibited.